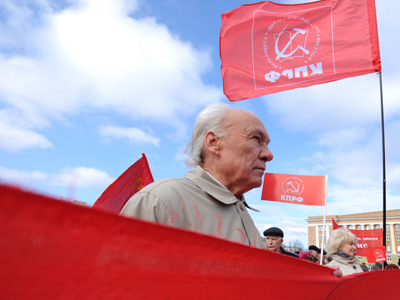 The Communists have pledged to beat the ruling party at the parliamentary elections, saying United Russia has brought the country to a deadlock. 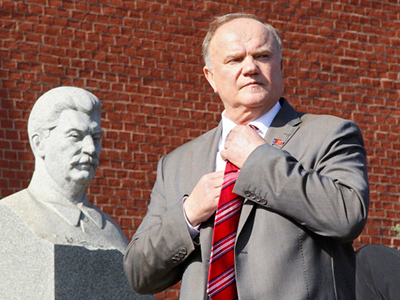 ­“It will not be just the elections of State Duma or president, it will be a choice of the course after a 20-year experiment,” the Communist leader Gennady Zyuganov told the delegates and guests of the congress in the town of Moskovsky in the Moscow Region on Saturday. All these years “a gang of folks who cannot do anything in life apart from dollars, profits and mumbling, has humiliated the country,” he said, referring to the current government. 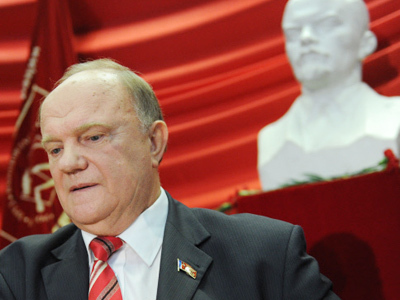 If CPRF gains power, people will have a real right for referendum, the parliament’s control functions will be strengthened, Zyuganov said. He promised to create “the real National Security Council and new Supreme intellectual council.” The party’s “3+5+7” formula includes three directions of foreign policy, seven will concern new economic policy and five, social priorities. 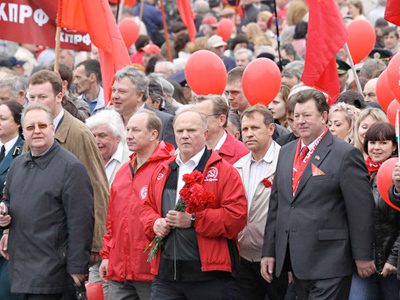 Zyuganov listed several party leaders and professionals in different areas as candidates to “the government of people’s confidence,” which could be formed in case of election victory. This government will work to strengthen Russia’s positions on international arena, the CPRF leader said. The country “will get rid of the dictate of “global rules.” Communists have candidates to replace all the ministers. According to Zyuganov, Admiral Vladimir Komoedov would be a 10-times-better defense minister than the incumbent, Anatoly Serdyukov. The Communists will work to limit the influence of NATO or even dissolve it in the future. Russia needs to increase its number of allies to “counter the aggressive policies of imperialist circles.” The key to Russia’s security is reviving the brotherhood of peoples, first of all, the Russian, Ukrainian and Belarusian people, Zyuganov said. The Communists promised to support free education, healthcare and cultural revival of peoples of Russia. 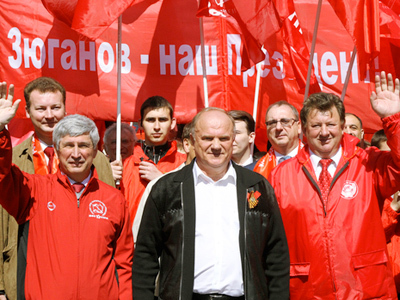 Zyuganov has called on his supporters to use new methods of electioneering, so that the color red will be in as many places as possible, including social networks on the internet. Meanwhile, the party’s leader commented on the news coming from the congress of United Russia, held in Moscow on the same day. The decision of the ruling tandem of the president and the prime minister “will not change the situation in Russia,” he said. 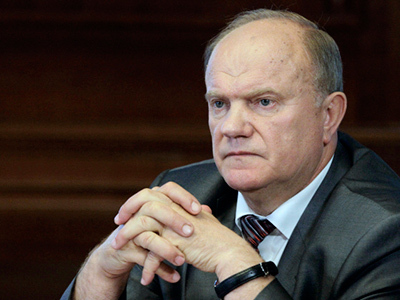 “There is nothing new for us,” Zyuganov noted. “The tandem has to maneuver, but at the same time any attempt to destroy it means complete failure of their policies.” Nothing essential has been done in Russia during the last four years, and the government is still “unqualified and unprofessional,” he stressed.